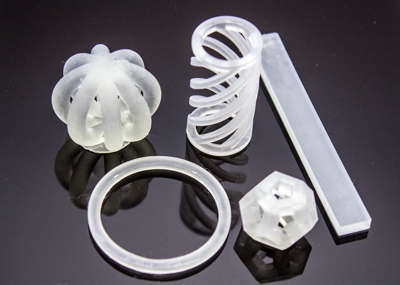 High-performing Henkel materials enable even complex 3D printing applications. Henkel Adhesive Technologies has joined the HP Open Materials and Applications Platform and will work with HP in its Corvallis, Oregon 3D Materials and Applications lab to develop customized, industry-specific solutions for HP Multi Jet Fusion customers. “HP is proud to welcome a distinguished industry leader like Henkel to its open 3D printing materials community – we look forward to working closely together in HP’s new Open Materials and Applications Lab to certify materials for the HP Multi Jet Fusion 3D printing platform,” said Stephen Nigro, President of 3D Printing, HP Inc.
Henkel’s 3D printing material portfolio includes engineered thermal and light cure acrylic, silicone, epoxy, and polyurethane adhesives, sealants and coatings. These high-performance technologies are used to assemble critical applications such as medical components, electronic devices and transportation vehicles. And with Henkel’s broad polyamide synthesis and formulation expertise, the company can also offer unique products that take full advantage of the benefits the Multi Jet Fusion platform offers. In November 2016, hot melt and high performance adhesives supplier Henkel announced plans to expand its product range by introducing novel light cure resins. The materials were to be deployed in SLA/DLP (stereolithographic/digital light processing) printing and commercialized in 2017. Henkel’s hot melt adhesives have already been used in the 3D-printing of functional applications such as furniture and elements for buildings. Henkel is focusing development in this area on providing novel filament and powder materials for us in SLS (selective laser sintering) and FDM (fused deposition modelling) printers. “The partnership between HP and Henkel is backed by strong market leadership, a legacy of innovation and an aligned commitment to additive manufacturing,” said Michael Todd, Corporate Vice President and Global Head of Innovation and New Business Development, Henkel Adhesive Technologies. In addition, Henkel’s in-depth understanding of manufacturing process integration will help accelerate the transition of additive manufacturing to production settings. And with an extensive geographic footprint and sales channel, Henkel will facilitate the implementation of additive manufacturing on a scope that rivals that of traditional industrial production. Henkel is convinced that the technology developed by HP will enable industrial manufacturers to reap the benefits of additive manufacturing. By creating an open ecosystem architecture, the HP Multi Jet Fusion platform will accelerate the development of better performing materials that meet individual customer and market needs.